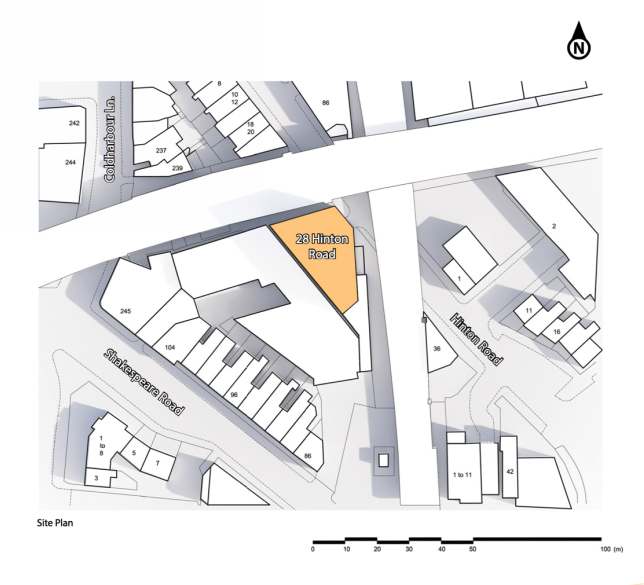 The subject site is located on Hinton Road, close to Lough-borough Junction Railway Station. It is approximately 3,985 square meters and is located 2.5km from Kings College Hospital. The development was designed to cater for a mix use of residential and commercial, and to address many concerns such as the quality of the environment, the efficiency of the infrastructure network, the growth of employment and housing affordability in the Lambeth area. The Development consisted of a nine storey unit which included for 24 C3 residential units & 630 square meters of Class B1 commercial space and all the supporting urban infrastructure.